Which baby carrier is best? How should your child sit in the baby carrier? Your baby should sit in the baby carrier in the squat-spread-posture (AHS). This means that your child has angled the legs by about 110 degrees and they are spread between 60-90 degrees. This position is also called M position, as your child's bottom and legs form an M. The bottom is slightly deeper and your baby's knees are about at belly button height. In a newborn, the legs are more likely to be spread around 60 degrees. If you keep your baby on your arm, it takes that position on its own in the first few weeks. In the same way, your baby wants to sit in a baby carrier. Before the seating age, your baby's back should be rounded in the carrier. It should not be pressure on the spine. From the seating age, your child's spine is sufficiently developed, so that it can sit in the carrier with a straight back. For example, you can now use a Full Buckle, where the shoulder straps are attached to the back panel. The airways should always be free, so the panel should not be pulled over the entire head of the child. In a newborn, the panel should end at about ear height. In a child with a good head control, the panel should end at shoulder height and larger children can also take their arms out. The bar between the legs should range from one hollow knee to the other. Your child should always facing you in a baby carrier. Your baby has a rounded back an the legs and botoom built a M position. Human children are evolutionary babywearers. Your baby was in your belly for 40 weeks during pregnancy and still feels the need to be worn after birth and so slowly arrive into the new world. It has a basic need for closeness and security. While babywearing, you strengthen the bond between you and your child. Worn babies cry less and everyday life with a child becomes much easier. 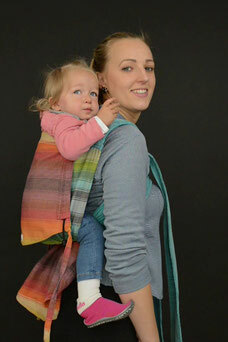 Babywearing stimulates the motoric development of your child. The back muscles are positively influenced and the sense of balance is trained. You give your baby security, it can see and feel you. You can wear your baby as much as your child and you want it. There are many different baby carriers on the carrier market right now and it's difficult to choose the right one, than you start with babywearing. Therefore, here is a small overview of the different carrying systems, based on the different Huckepack baby carriers. In all the mentioned carriers, your child is sitting in the recommended squat-spreading posture, the patterns of the back panels are identical to Full Buckle, Half Buckle, Mei Tai, Wrap Tai and Onbuhimo. The difference lies in the straps and waist belts. 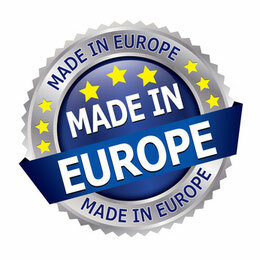 Which carrier is best for you and your child, you should try before you buy one,e.g. by ordering a test package or / and doing a babywearing consultation . You'll find out if you'd rather have a baby carrier complete with buckles or would like to tie, whether you prefer thicker padding or expandable shoulder straps. There is not one perfect carrier, that suits everyone best. Which carrier it becomes in the end, is always very individual. Here you will get an overview of the different baby carriers and their names. 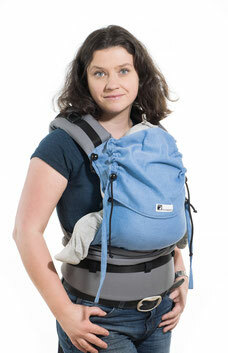 The Huckepack Full Buckle is a baby carrier, which is completely closed with buckles. This type of carrier is also called a comfort carrier or a ssc carrier. The ergonomically shaped hip belt is sturd, but softly padded, so that it adapts well to the wearer. The webbing is in the max. setting 140cm long. In the smallest setting the waist belt is 63 cm long. The shoulder straps are well padded and ensure that the webbing can not push through and distribute the weight evenly on your shoulders. The straps can be adjusted in the length. The ladder buckles can be loosened to extend the straps and to optimally move the padding. With the additional buckle, the straps can be shortened to 30cm, so that the carrier fits well even small, thin people who would like to wear their child in a high position. The shoulder straps can be crossed on the back or run straight down. The panel is made of wrap fabric and can be adjusted at the bar between the legs, in the panel length and in the neck area. The shoulder straps can be attached to the hip belt or to the back panel, this option is starting from the medium size. With the baby size, they are always attached to the hip belt. When the straps are attached to the waist belt, there is no pressure on the back of the baby and it can be rounded. This method of carrying is important for children up to the age of sitting to protect the insufficiently developed spine. From the age of sitting, the straps can be attached to the back panel. The spine of the child is now sufficiently developed and it is not a problem, if the back is pressed slightly straight. The advantage for the wearer is that more weight is transferred to the hips and this weighs less on the shoulders. The weight distribution is better with this method of carrying. 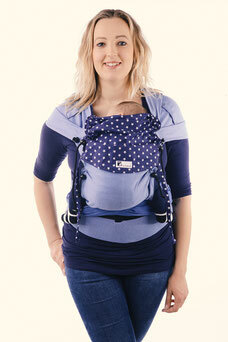 The Full Buckle baby carriers all have a continuously adjustable headrest. If your child falls asleep in the carrier, you can support your child's head. Full Buckles can be worn in front, on the back and on the hips. 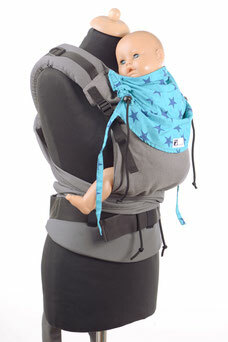 The Full Buckle baby carrier can be used for newborns, as well as for toddlers. With the Full Buckle you do not have to tie anything, the straps and the hipbelt are closed with buckles. Especially in autumn and winter, you do not have long straps that grind on the floor, when you tie your child in outside. 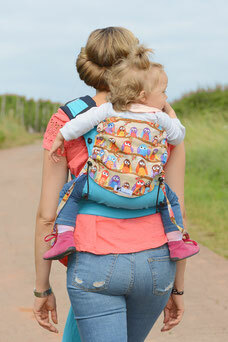 The Huckepack Half Buckle is a baby carrier, which is closed at the hip belt with a buckle, while the shoulder straps are tied. The ergonomically shaped hip belt is sturdy, but softly padded, so that it adapts well to the wearer. The webbing is in the max. setting 140cm long. In the smallest setting the waist belt is 63 cm long. The shoulder straps are well padded and ensure that the webbing can not push through and distribute the weight evenly on the shoulders. The shoulder straps are 2m long and have to be tied. As a result, the carrier length can be optimally adapted to the wearer. The straps run under your child's bottom, so that there is no pressure on the back and your baby sits in the carrier with a rounded back. The Half Buckle baby carriers all have a continuously adjustable headrest. If your child falls asleep in the carrier you can support your child's head. Half Buckle can be worn in front, on the back and on the hips. 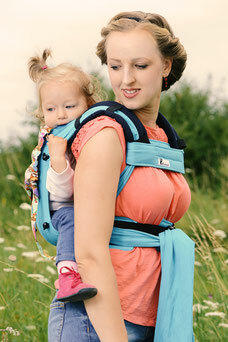 The Half Buckle baby carrier can be used from newborns, as well as fot toddlers. The Half Buckle shoulder straps have to be tied and the hipbelt is closed with buckles, like the Full Buckle. The parents often find it easier to tie up the Half Buckle in workshops,than to adjust a Full Buckle with the many buckles. So that the long straps do not get dirty, when you tie in your child outside, you can put the ends in your trouser pockets. The Huckepack Wrap Tai is a baby carrier, which is fastened to the hip belt with a buckle, while the straps have to be tied. The shoulder straps are wide and unpadded, so you can spread them over your shoulder and over your child's bottom. This ensures good weight distribution throughout your shoulders and on your back. The straps are 2.10 m long and are tied. As a result, the carrier length can be optimally adapted to the wearer. The entire baby carrier is made of wrap fabric and can be adjusted at the bar between the legs, in the panel length and in the neck area. The straps run under your child's bottom or over your child's bottom, if you expand them, so that there is no pressure on the back and your baby sits in the carrierwith a rounded back. 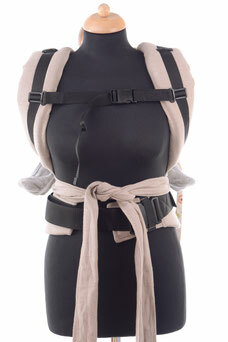 The Wrap Tai baby carriers all have a continuously adjustable headrest. If your child falls asleep in the carrier, you can support your child's head. Wrap Tais can be worn in front, on the back and on the hips. 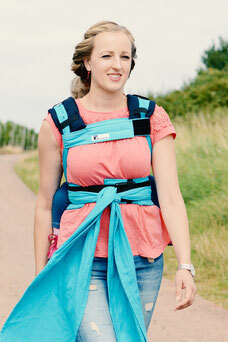 The Wrap Tai baby carrier can be used from birth, as well as for toddlers. Due to the possibility to expand the straps over your child's bottom, you can also widen the bar betwenn the legs, so that the carrier grows with your child for a very long time. With the Wrap Tai, the shoulder straps are tied and the hipbelt is closed with a buckle, like the Full Buckle / Half Buckle. 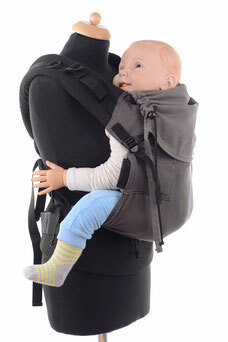 This carrier is suitable for parents, who do not want to have padding on their shoulders. So that the long straps do not get dirty, if you tie in your child outside, you can put the ends in your trouser pockets. With the extra pads you can pad the shoulder straps, which can be more comfortable especially when wearing a heavier child on your back. 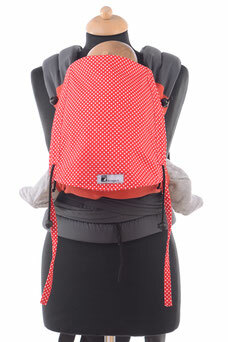 The Huckepack Mei Tai is a baby carrier, which ties both the shoulder straps and the waist belt. The 2m long hip belt is narrower and softer, than the ones mentioned above and is straight. The shoulder straps are thinner padded. The straps have no webbing, which could cut at a thinner padding. The straps are 2m long and have to be tied. As a result, the carrier length can be optimally adapted to the wearer. The Mei Tai baby carriers all have a continuously adjustable headrest. If your child falls asleep in the carrier, you can support your child's head. Mei Tais can be worn in front, on the back and on the hips. 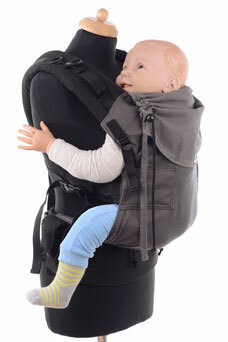 The Mei Tai baby carrier can be used from birth, as well as for toddlers. 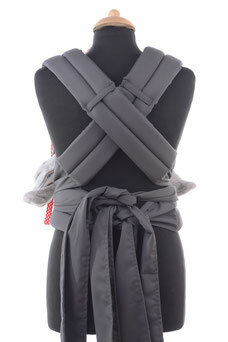 Mei Tai ties the shoulder straps and hipbelt. You can adapt the carrier very well to your child and wear the hip belt apron and non apron. This gives you additional options to optimally adjust the panel and the bar between the legs. So that the long straps do not get dirty, if you tie in your child outside, you can put the ends in your trouser pockets. 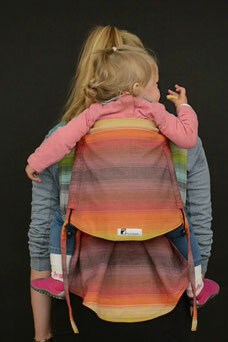 The Huckepack Onbuhimo is a baby carrier, which has padded straps with buckles, but does not require a hip belt. The Onbuhimo baby carriers all have a continuously adjustable headrest. If your child falls asleep in the carrier you can support your child's head. Onbuhimos can be worn in front and on the back. 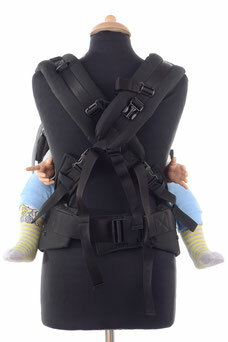 The Onbuhimo baby carriers are recommended from the age of sitting. It is above all more a back carrier. The back of your child is rounded in the carrier. The Onbuhimo can be put on quickly and easily. It folds up very small and fits well into your bag, if your child wants to walk. 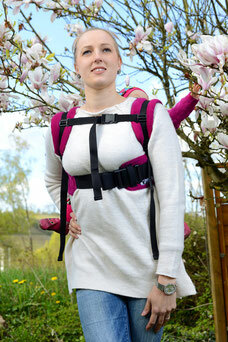 Since the carrier does not have a hip belt, it is great for wearing during pregnancy. Using an Onbuhimo, also called Onbu, the entire weight is on the shoulders. With the additional hip belt the Onbu can be transformed into a Full Buckle and you get a so-called hybrid carrier. 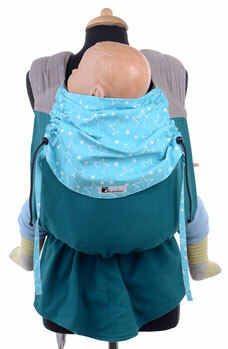 The Huckepack Podaegi is a baby carrier, which has padded shoulder straps to tie, but does not require a hip belt. The 2m long straps are thinner padded, like the Mei Tai and ensure a good weight distribution on the shoulders. There is no webbing on the shoulder straps, which could push through the thinner padding. The straps can be tied in front of the bottom / on the back to form a hipbelt. However, the straps can also be knotted in front of your breast, so that the belly remains free, which can be e.g. well suited during pregnancy. The panel is made of wrap fabric and can be adjusted continuously during binding. The Podaegi comes in one size and fits from birth to infancy. The Podagi baby carriers all have a continuously adjustable headrest. If your child falls asleep in the stcarrier, you can support your child's head. Podaegis can be worn in front, on the back and on the hips. The Podaegi is similar to a wrap from the binding. In the beginning it takes some practice. It folds up and fits well in your bag, if your child wants to walk. 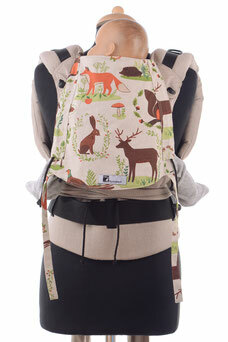 Especially for bigger infants it is a carrier, which you should take a closer look at. The Podaegi is quite unknown, but has great potential. Woven wraps are suitable for all babys, elastic wraps are recommended only for small babies, as they yield at a higher weight. With a wrap, you can wear in front, on the back and on the hip. There are many different bindings, so it can always be adjusted well. 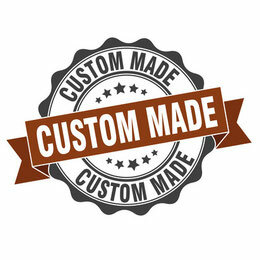 Wraps are available in different lengths. Depending on the bind and size you should choose the right length for you. There are various weaves for wraps, such as cross-weaving, diamond weaving, jacquard weaving. In addition, there are different thicknesses in the fabrics. 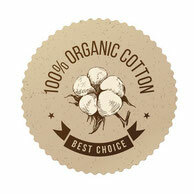 Wraps can be made of pure cotton, but also of blended fabrics with hemp, silk etc. At the beginning, I recommend a thinner wrap. 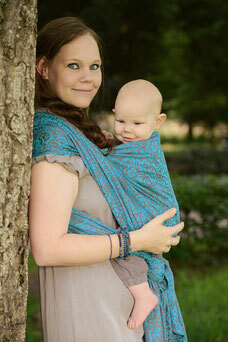 Slings fit from birth to infancy. 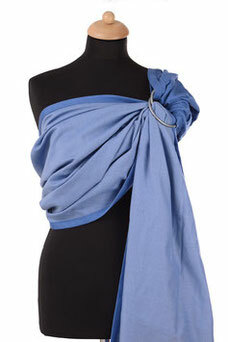 Sling are made of wrap fabric. They are almost 2m long and have 2 rings at one end, through which the fabric is pulled. With a sling you can wear in front, on the back and on the hip. Slings are small and fit so well in your pocket, if your child wants to walk. There are various weaves for slings, such as cross-weaving, diamond weaving, jacquard weaving. In addition, there are different thicknesses in the fabrics. 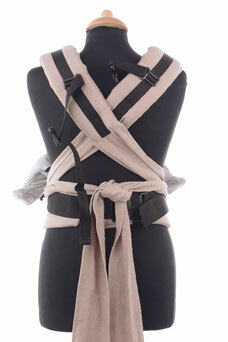 Slings can be made of pure cotton, but also of blended fabrics with hemp, silk etc. With the sling you always have the weight on one shoulder. It can be used quickly and easily and is especially suitable for shorter distances.